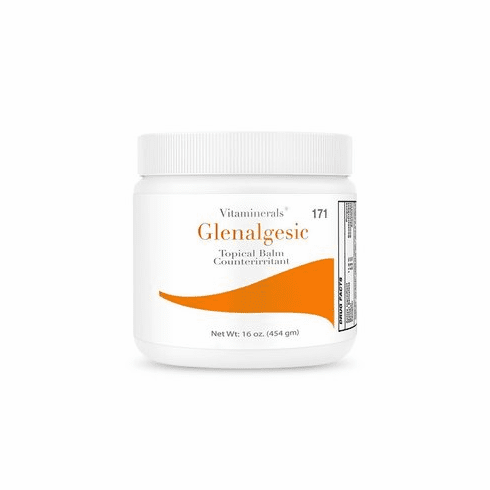 Vitaminerals 171 Glenalgesic Topical Analgesic Cream 8 oz. Home/Topical Analgesics/Vitaminerals Products/Vitaminerals 171 Glenalgesic Topical Analgesic Cream 8 oz. •	Relieves muscular aches and pain due to overexertion, fatigue and pain. •	Produces an analgesic effect from Oil of Wintergreen combined with the warm soothing benefits of menthol and camphor. •	SOLD TO HEALTHCARE PROFESSIONALS ONLY.